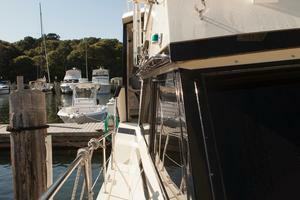 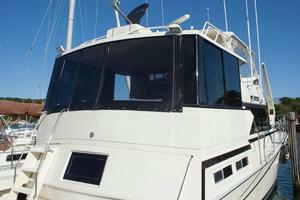 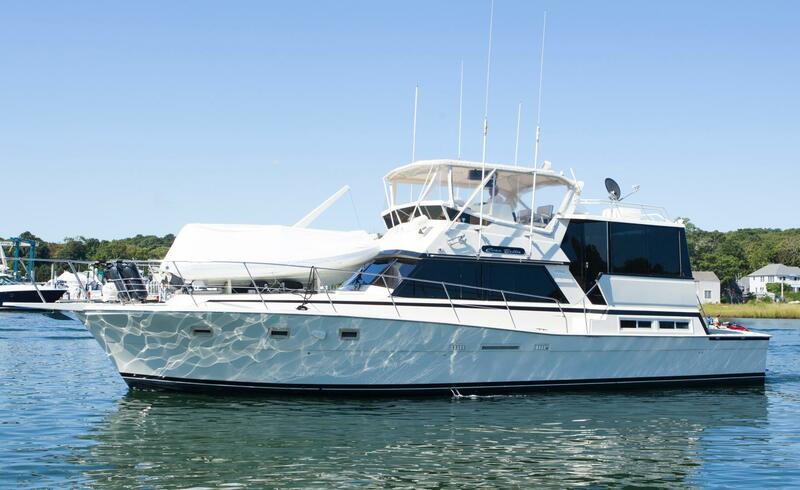 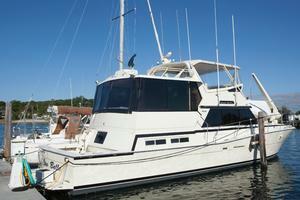 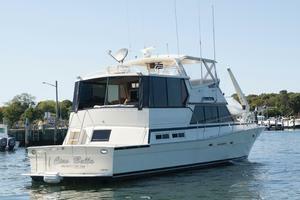 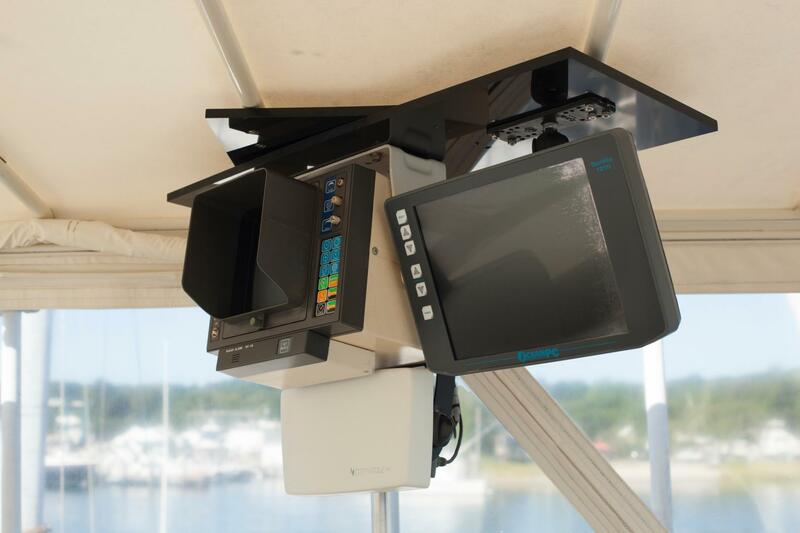 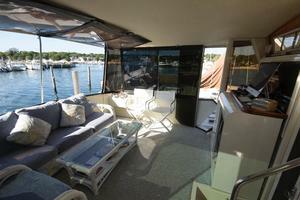 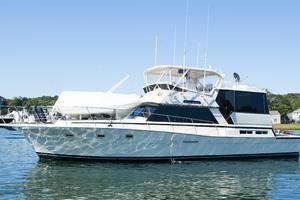 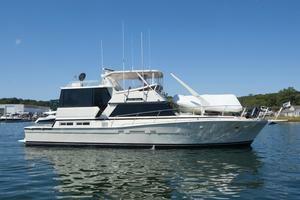 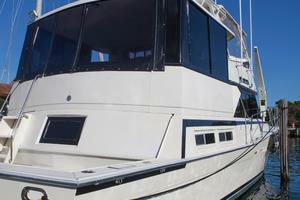 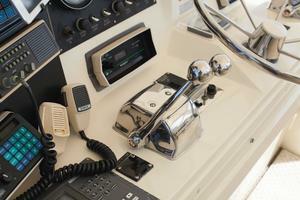 Only 50 Viking CPMY on the market with a full glass enclosure on the aft deck. 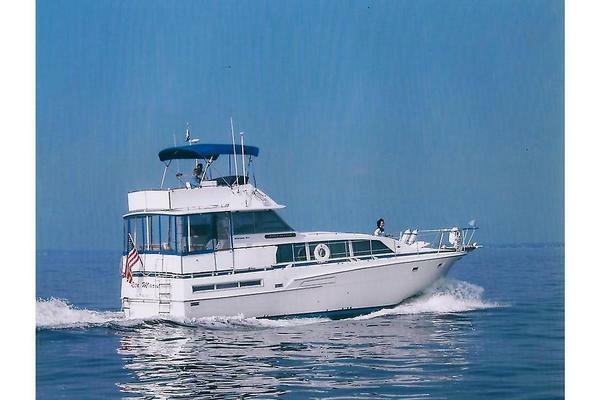 This 50 Viking is in immaculate condition inside and out and the owner has spared no expense in keeping her in top notch condition. 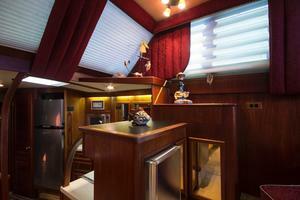 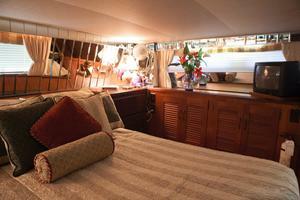 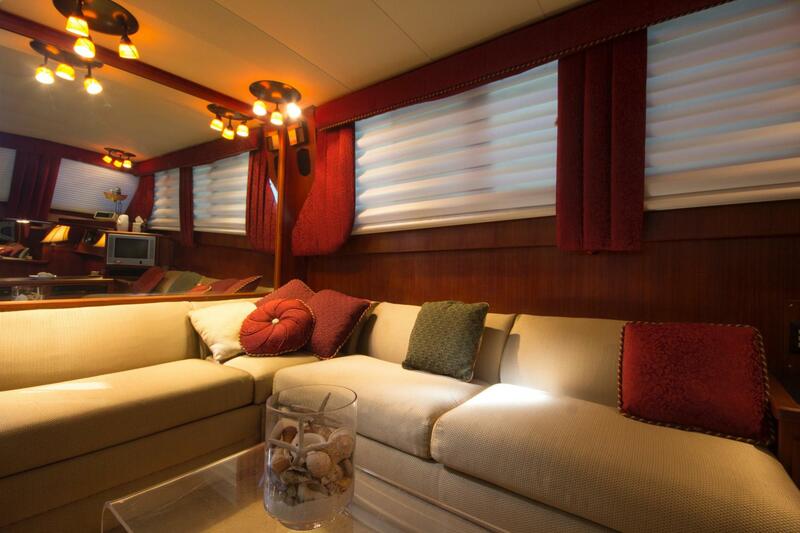 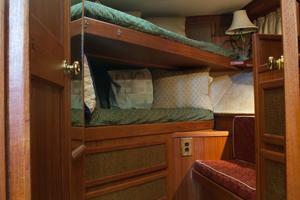 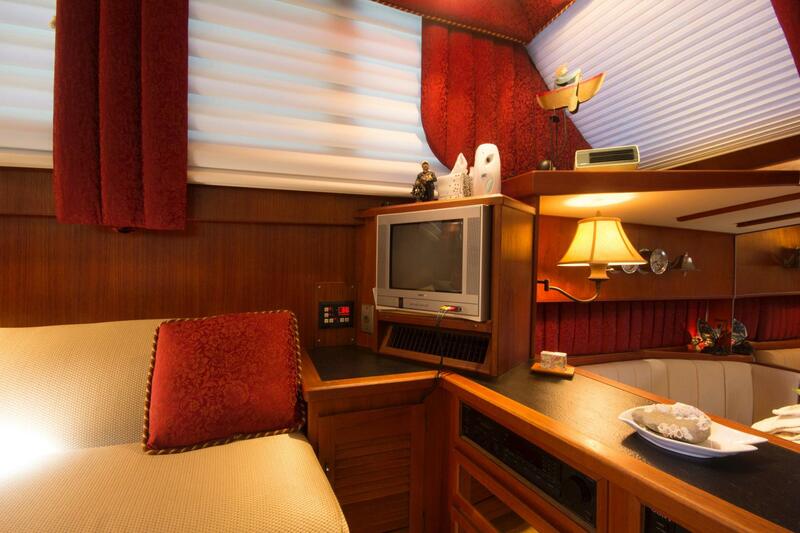 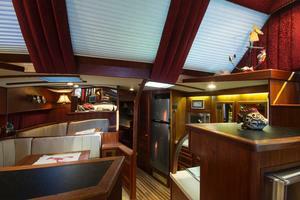 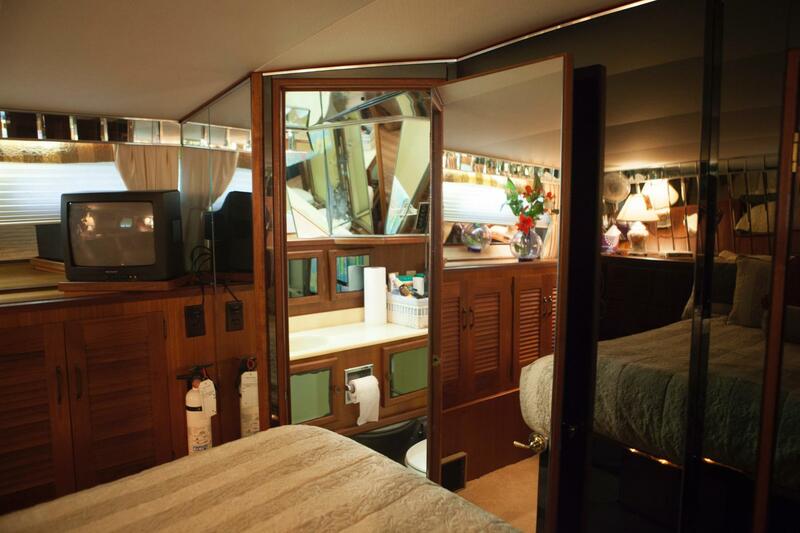 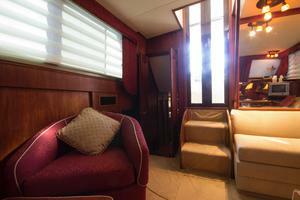 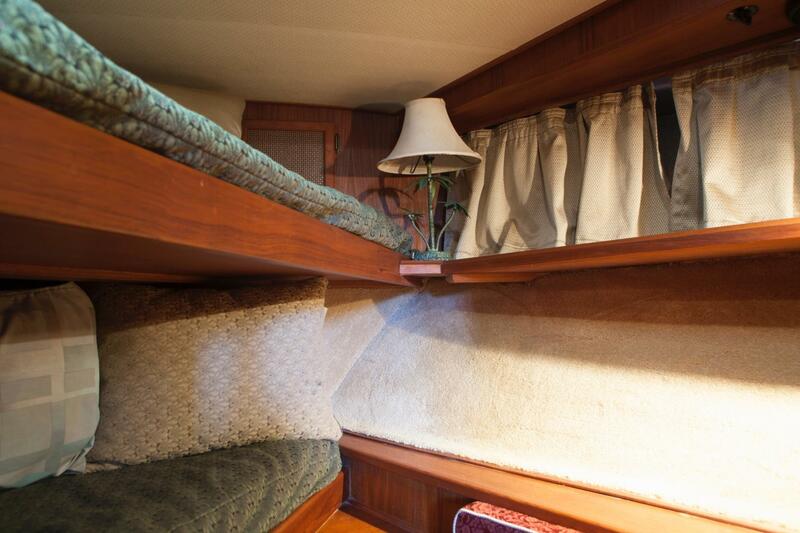 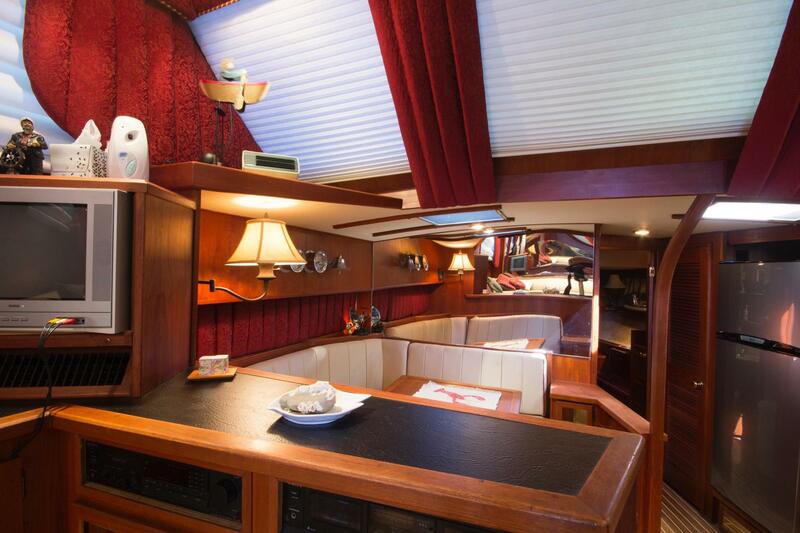 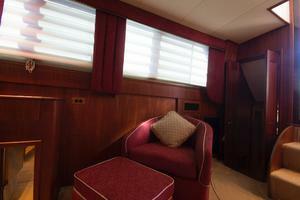 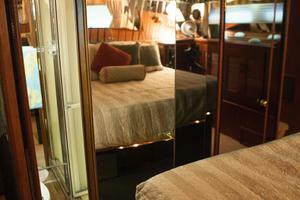 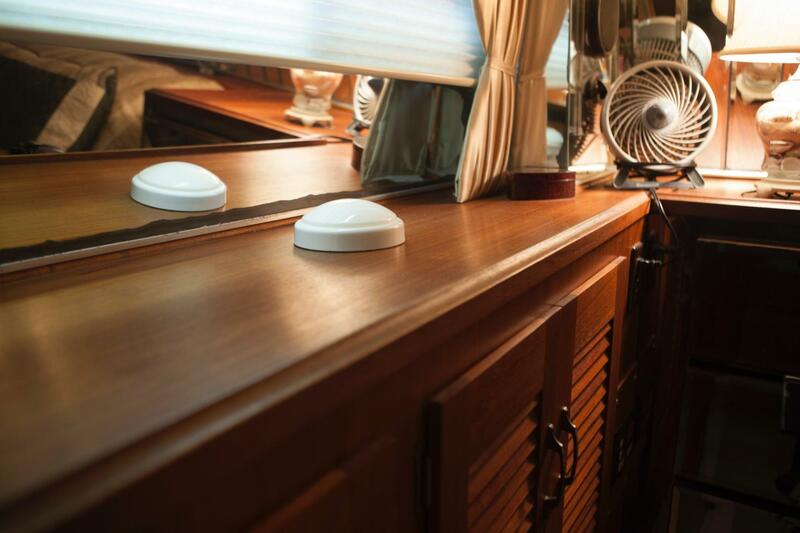 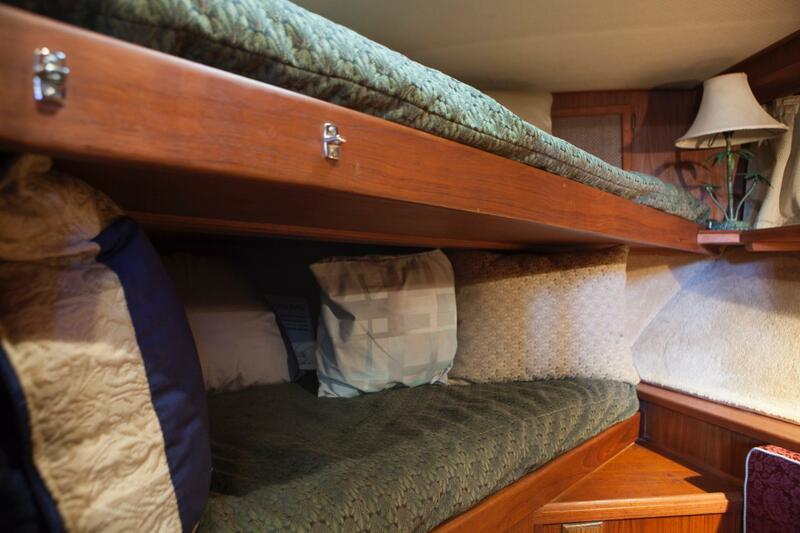 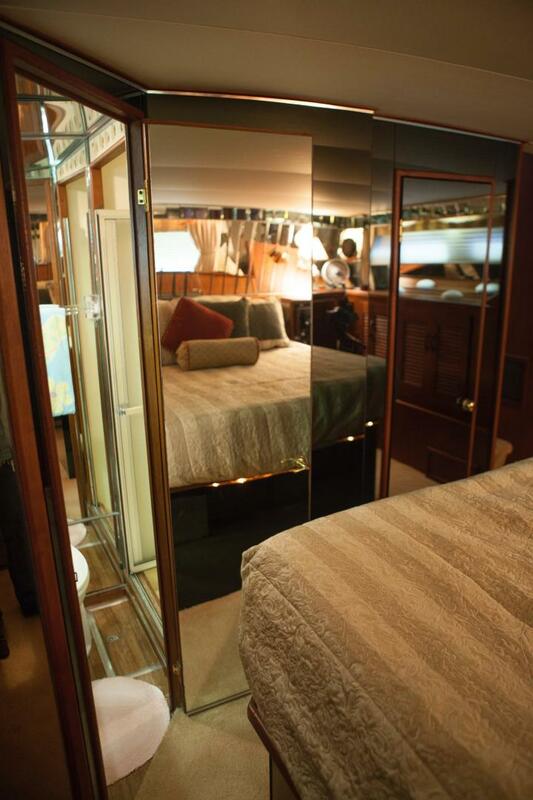 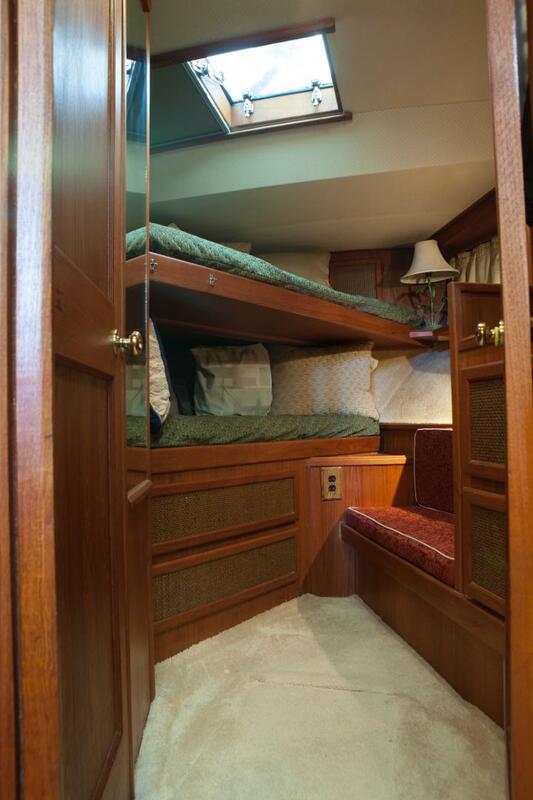 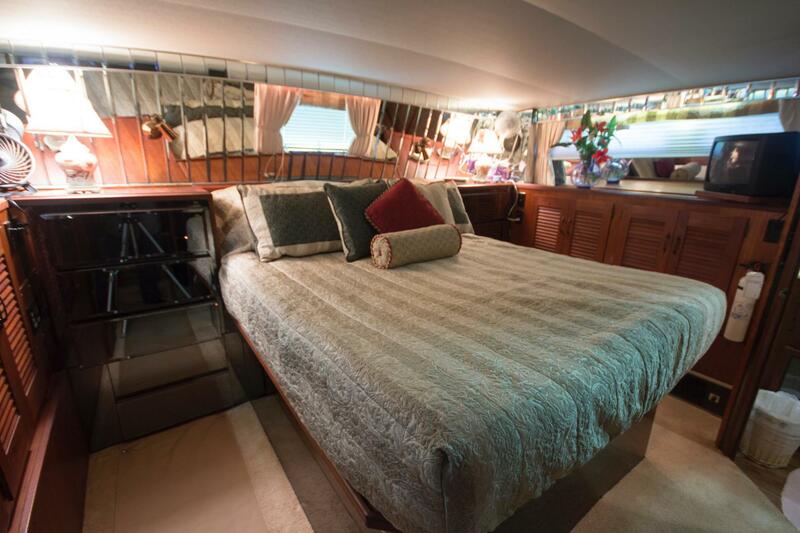 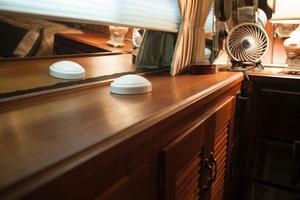 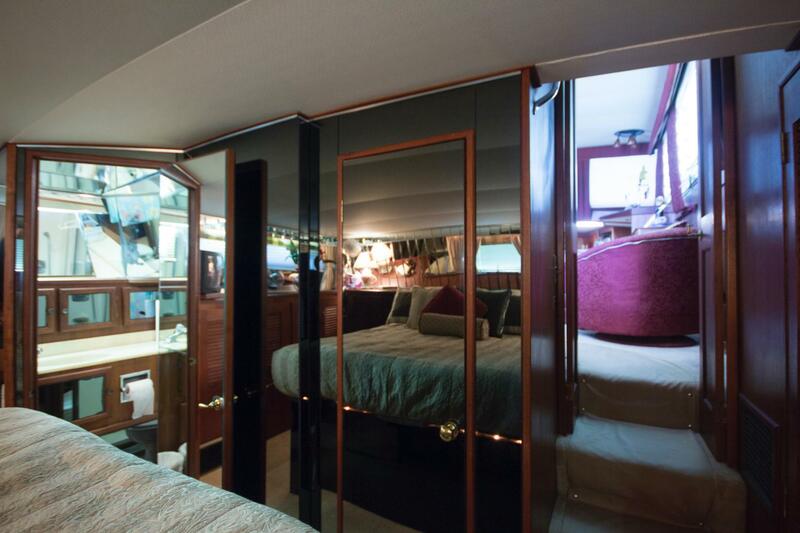 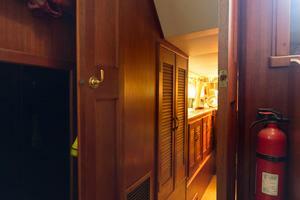 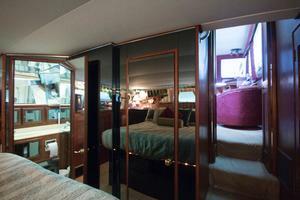 Her interior has been completely remodeled from the new carpeting and lighting to the upgraded galley appliances. 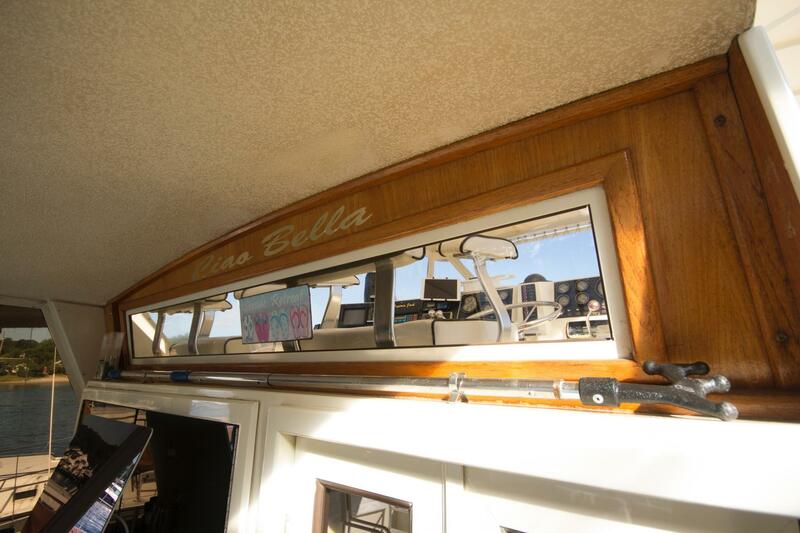 Her condition is unmatched and you will be hard pressed to find another boat of this vintage in comparable shape. 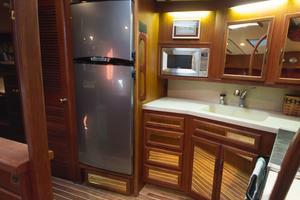 The owner just spent over 4k on the cooling system and she will run WOT under 190 degrees. 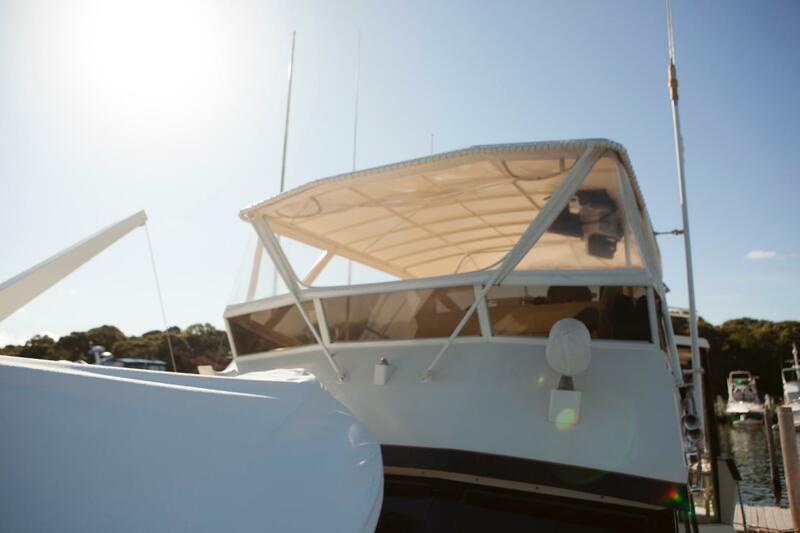 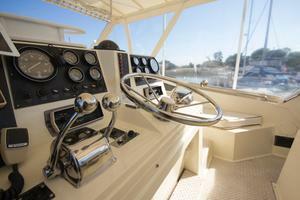 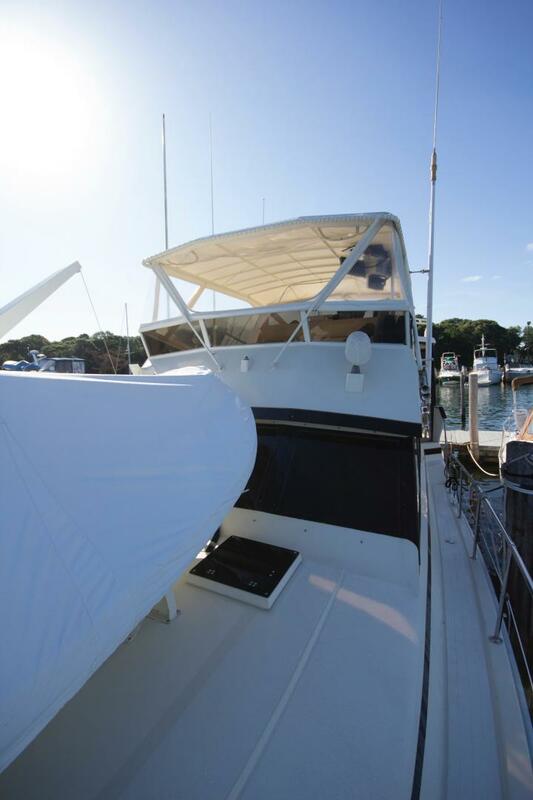 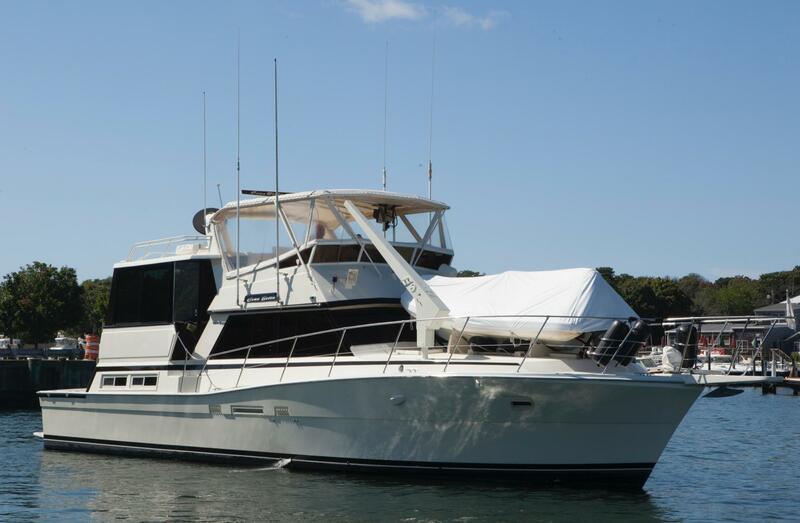 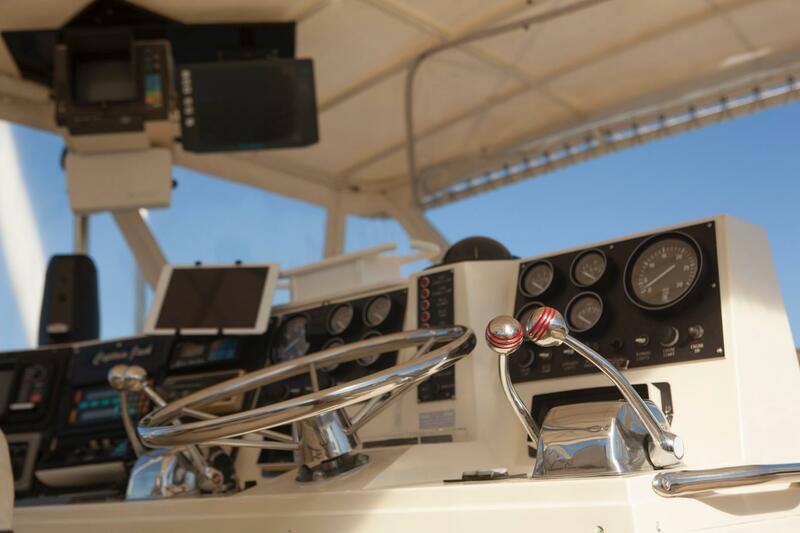 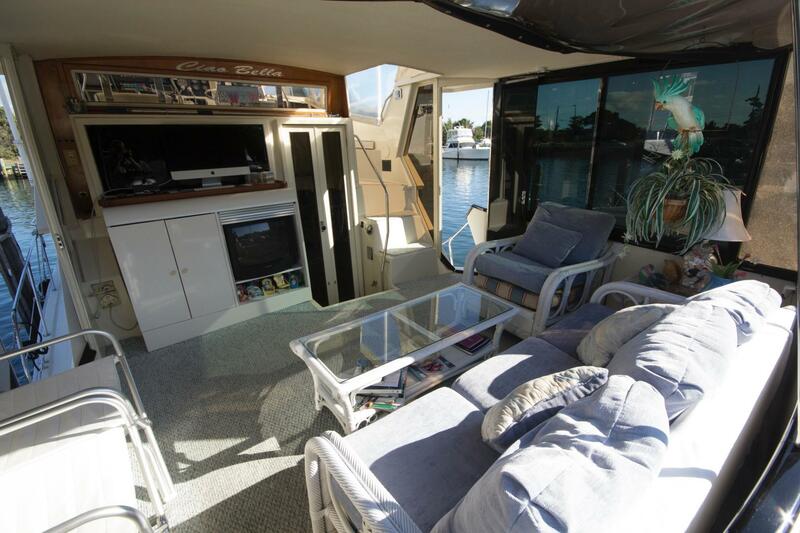 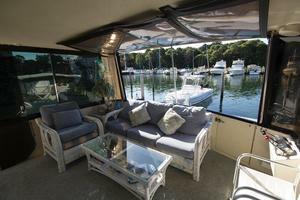 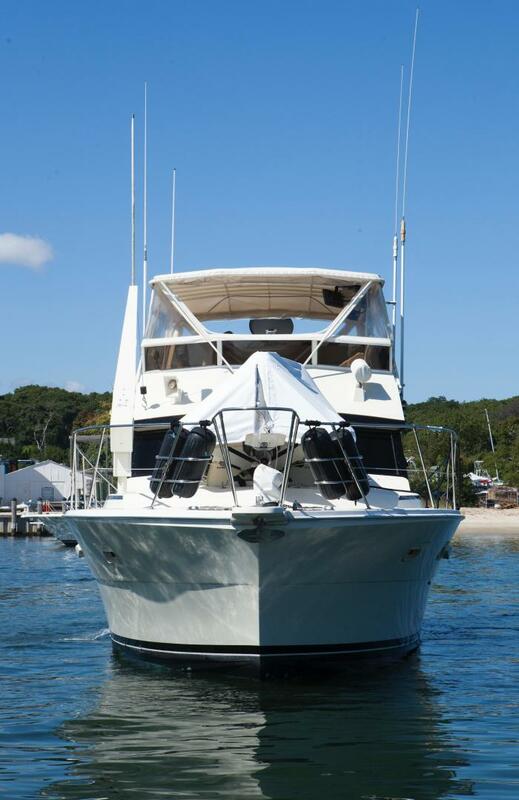 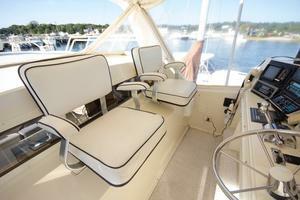 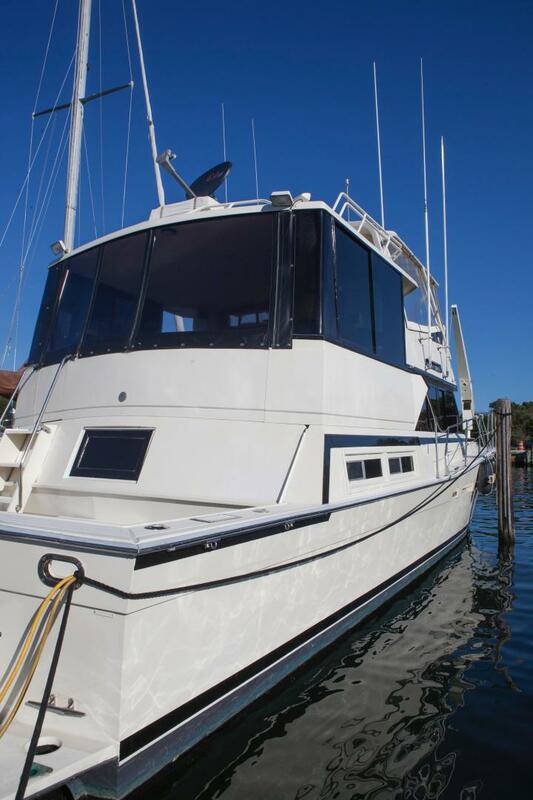 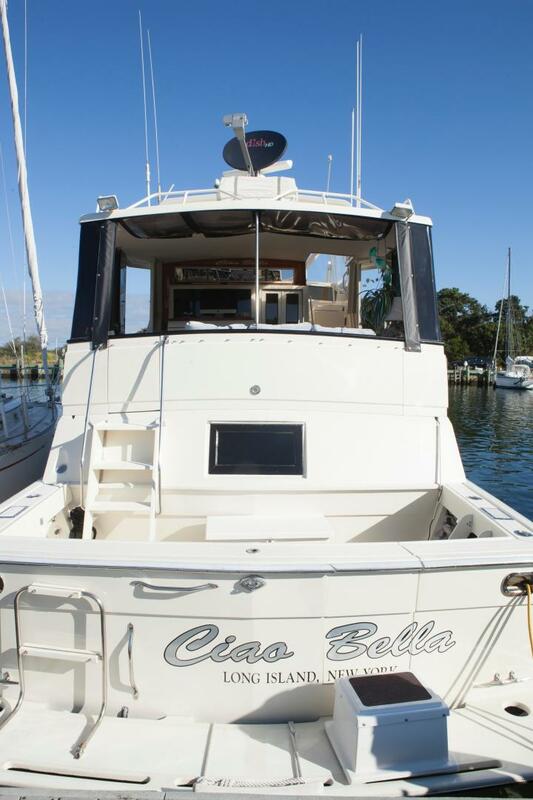 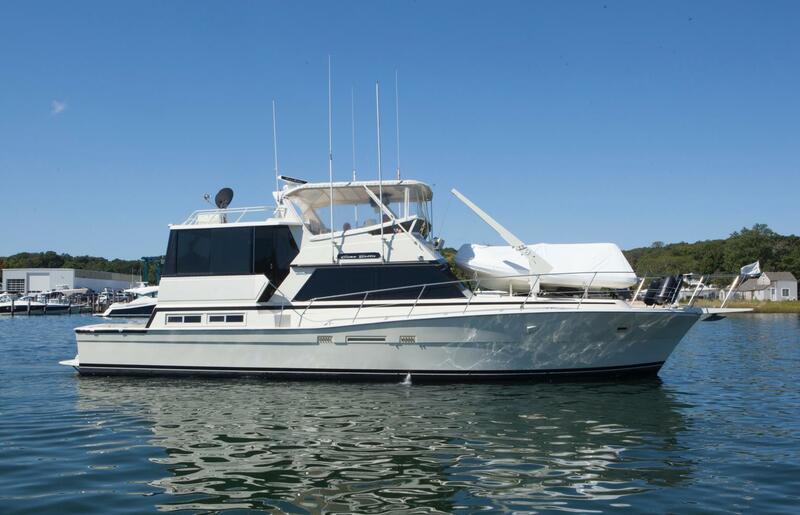 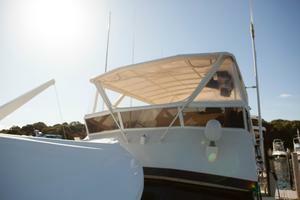 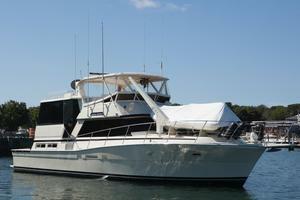 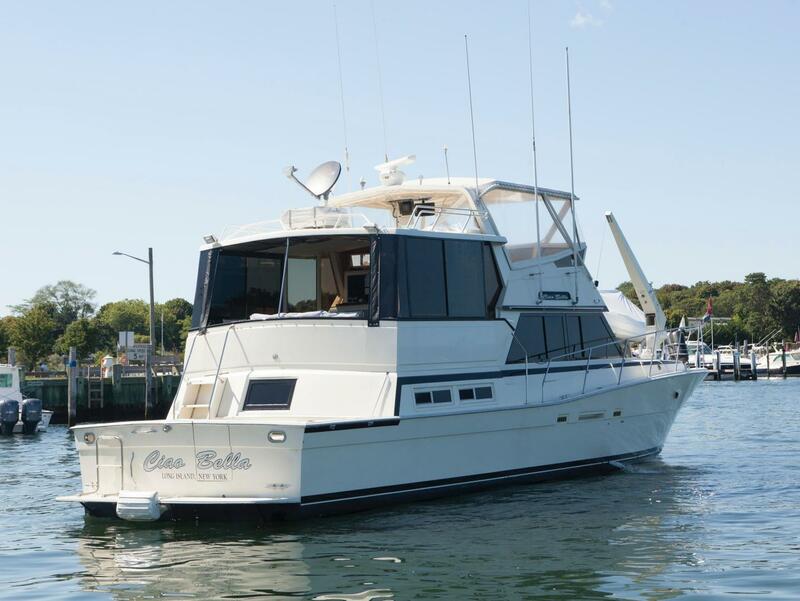 The cockpit makes her very versatile whether fishing, diving or just day cruising she is sure to accommodate your needs. 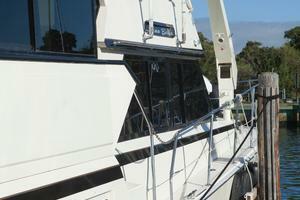 All non skid areas were repainted in 2013 and still look great. 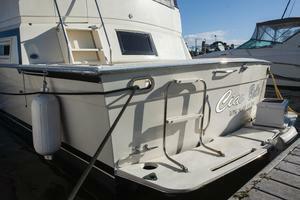 Click the full specs for more details. 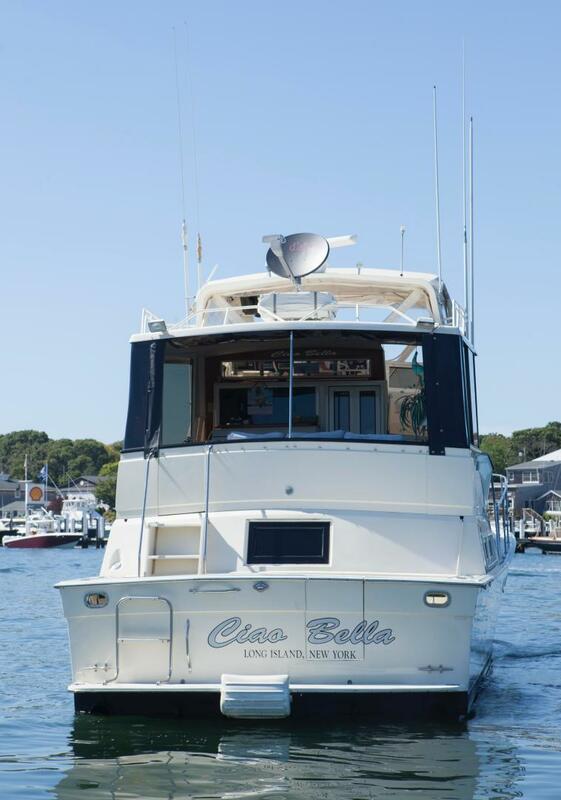 She is easy to see on Long Island, NY. 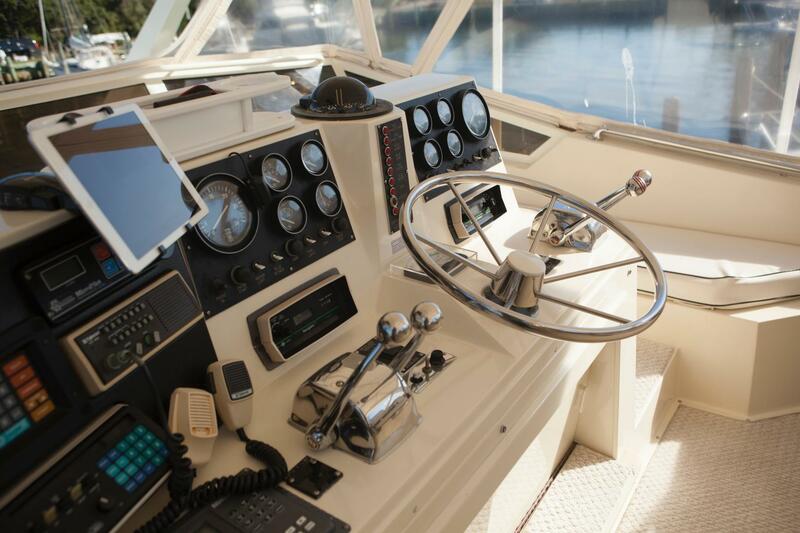 The cockpit is very spacious and provides the space you need to dive, fish or cruise. 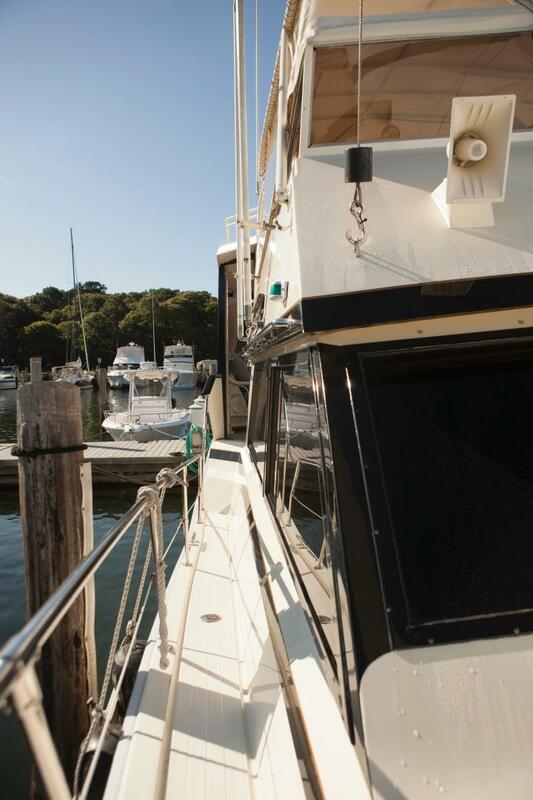 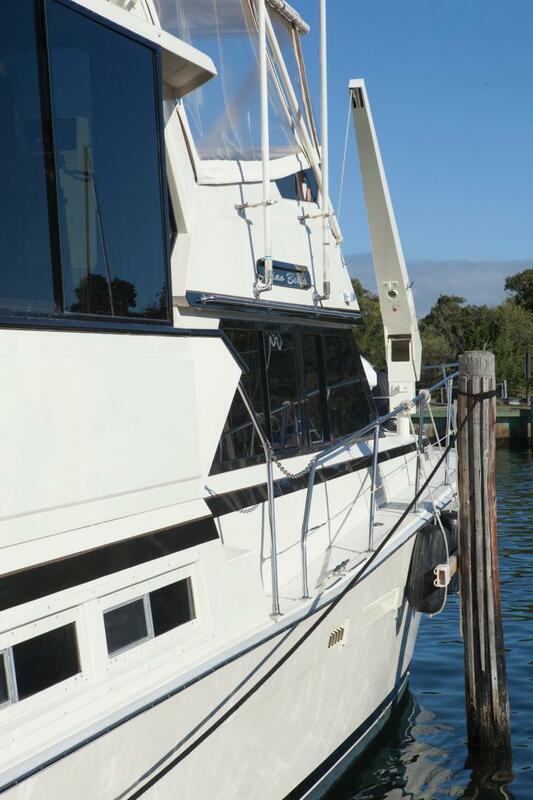 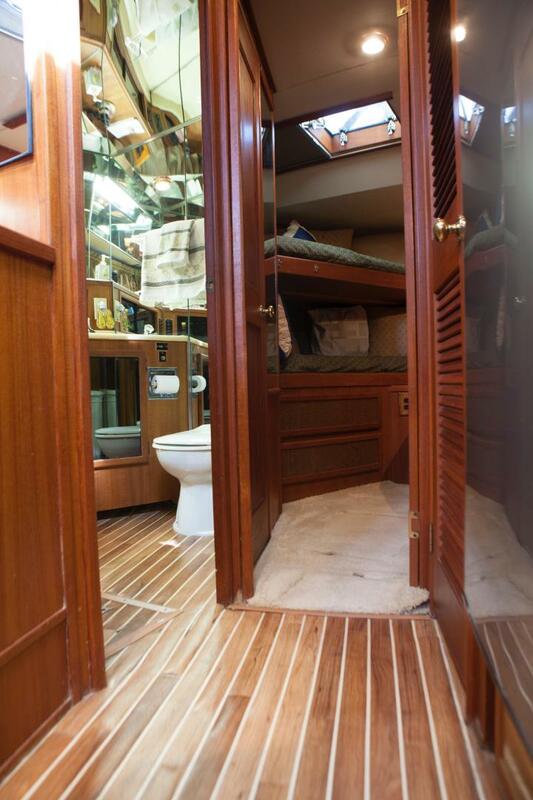 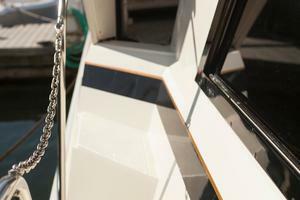 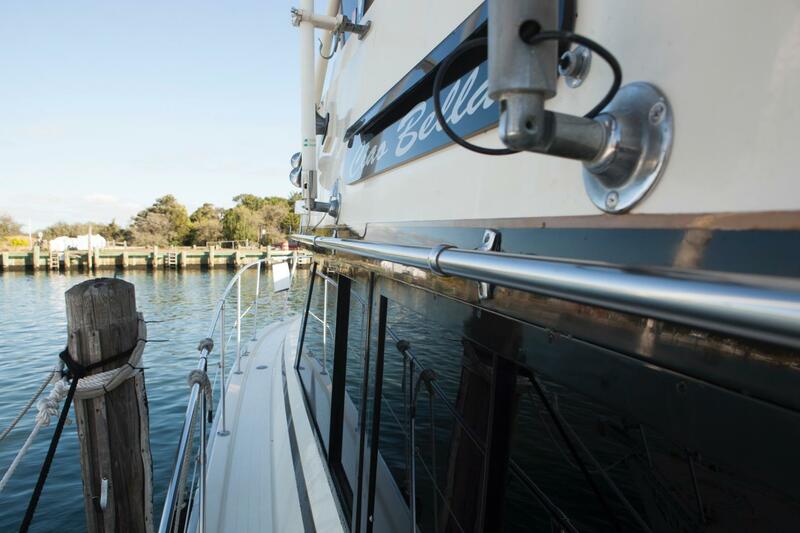 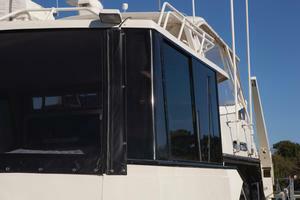 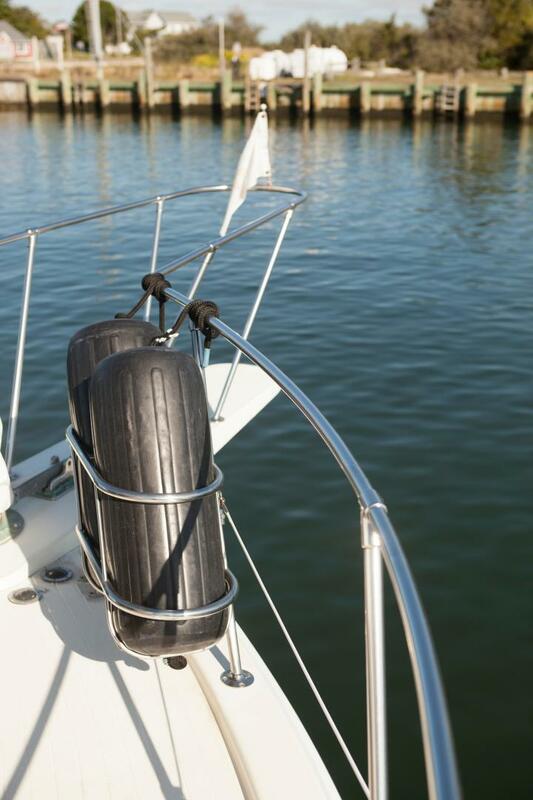 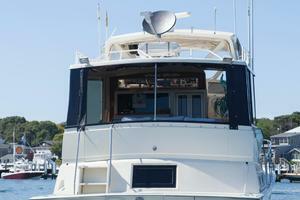 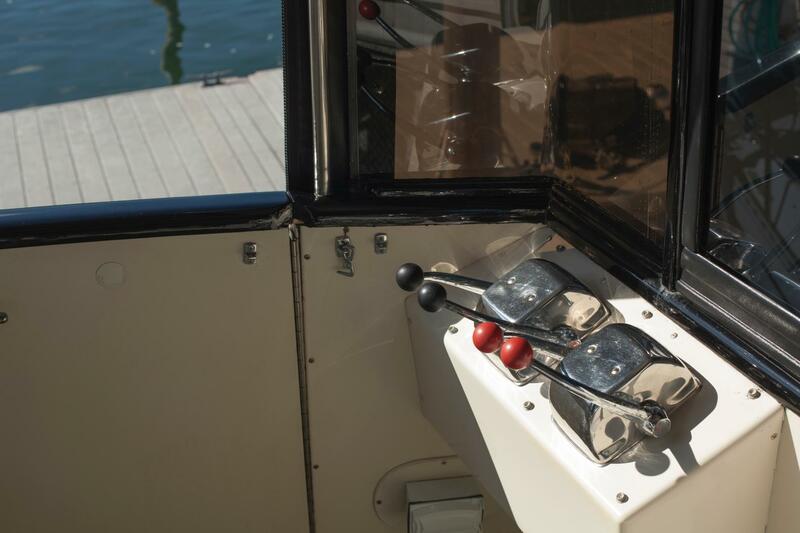 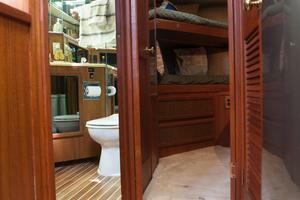 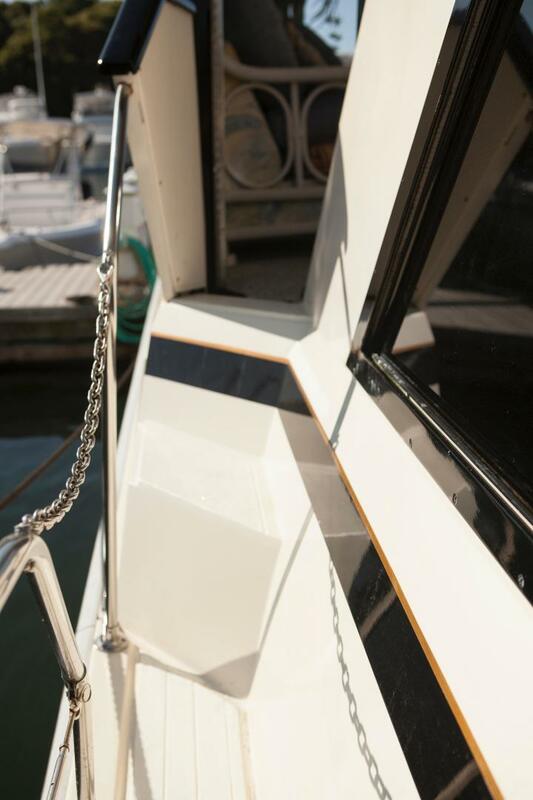 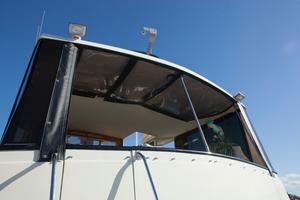 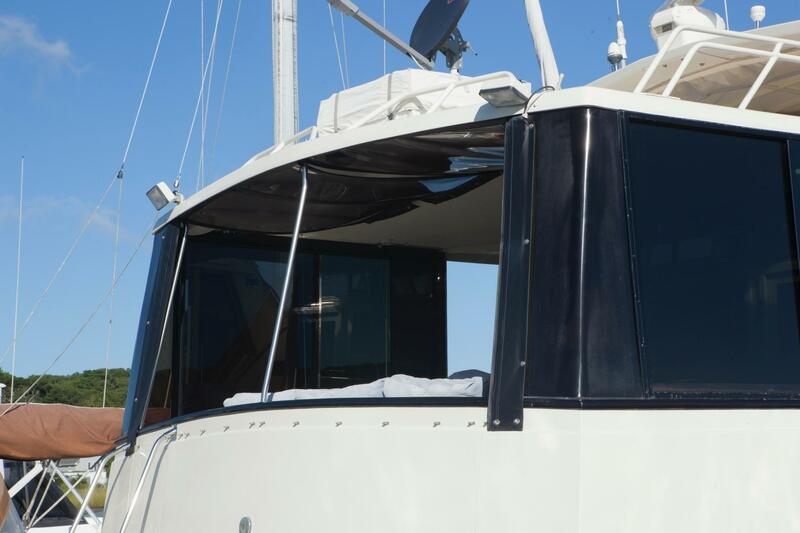 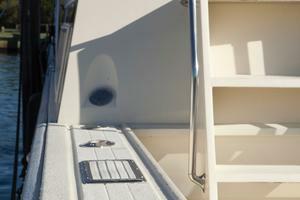 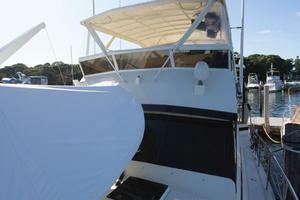 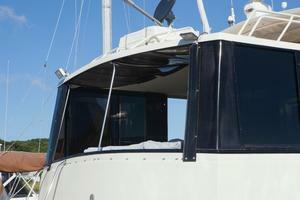 She comes equipped with a full transom door for easy access to the swim ladder. 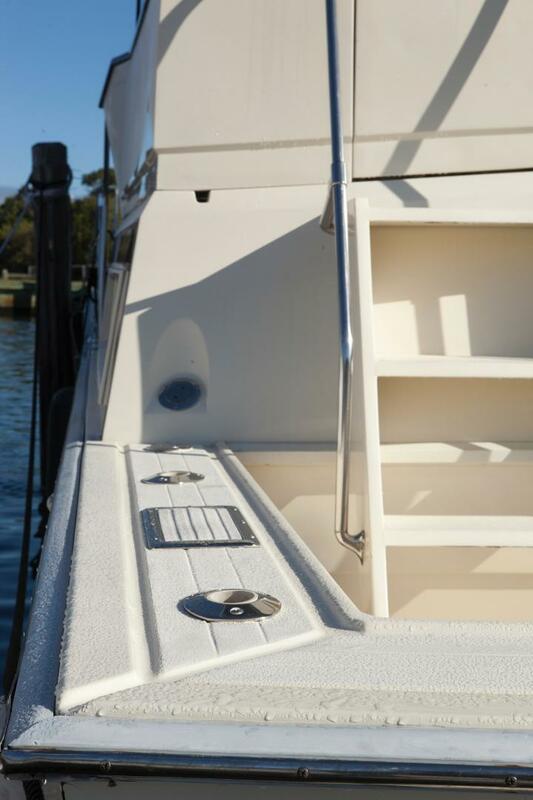 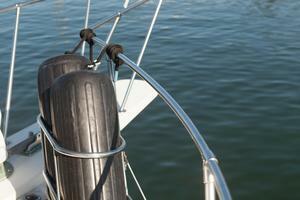 There is tons of in deck storage and a number of rod holders. 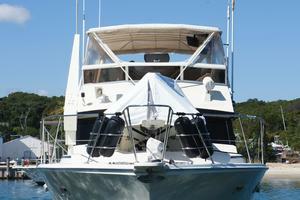 On the foredeck she has a davit capable of lifting a sizable tender. 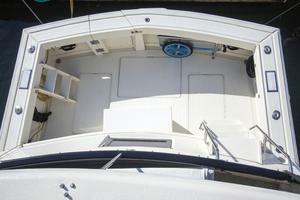 All non skid was repainted in 2013. The aft deck is very specious and the full glass enclosure makes the space enjoyable year round. 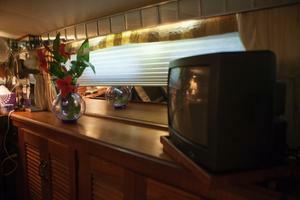 Forward is a nice wet bar with glassware storage. There is a nice wicker sofa, chair and coffee table placed directly in front of the TV. 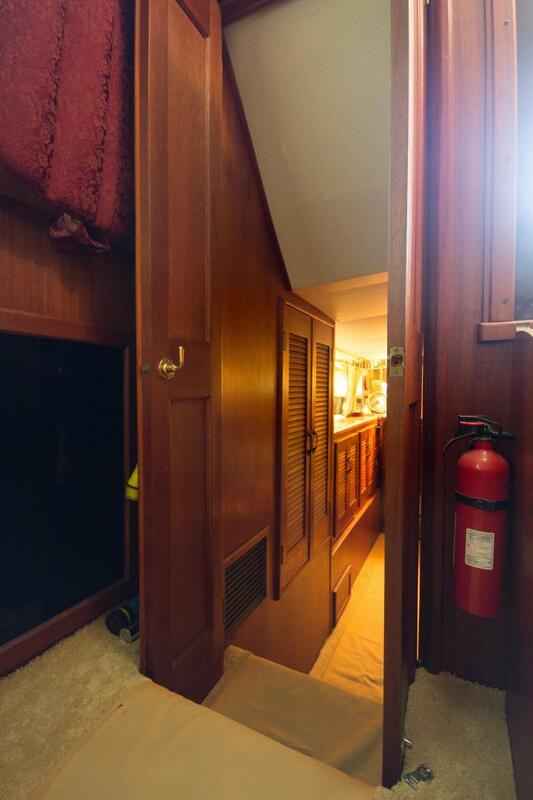 Just a couple steps up from the aft deck you find your way into the large bridge area with a nice isinglass enclosure and immaculate soft goods. 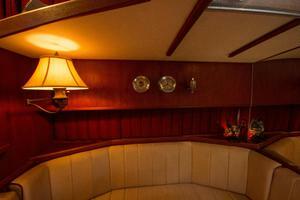 The visibility from the bridge is excellent and there is lots of seating for you and your guests. 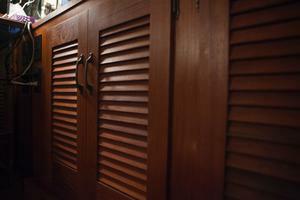 Once you step into the salon you will immediately notice the extensive updating that has been done by the current owner. 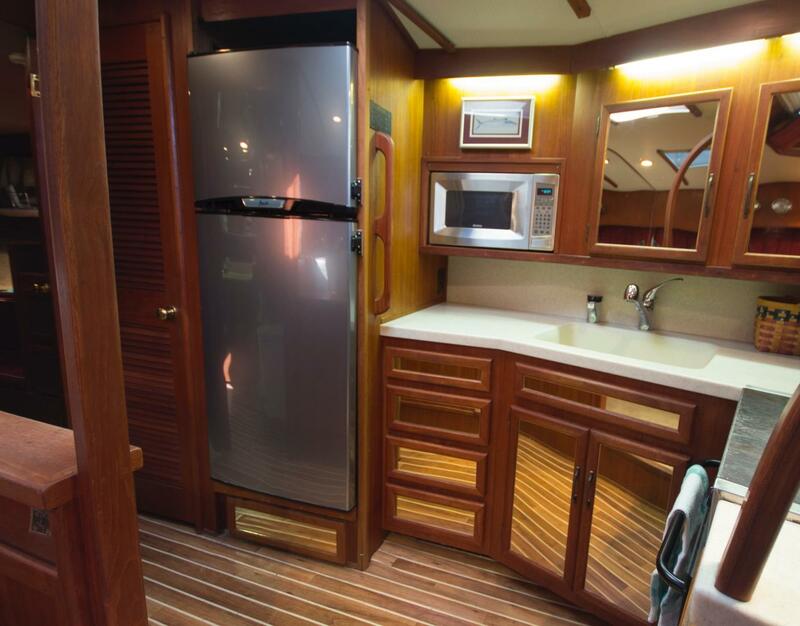 From the soft goods to the galley appliances, nothing has been overlooked. 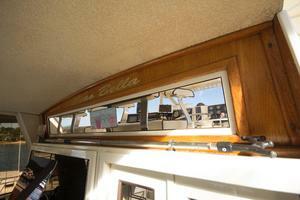 The original teak woodwork is in great shape and the windows are water tight with no leaks. 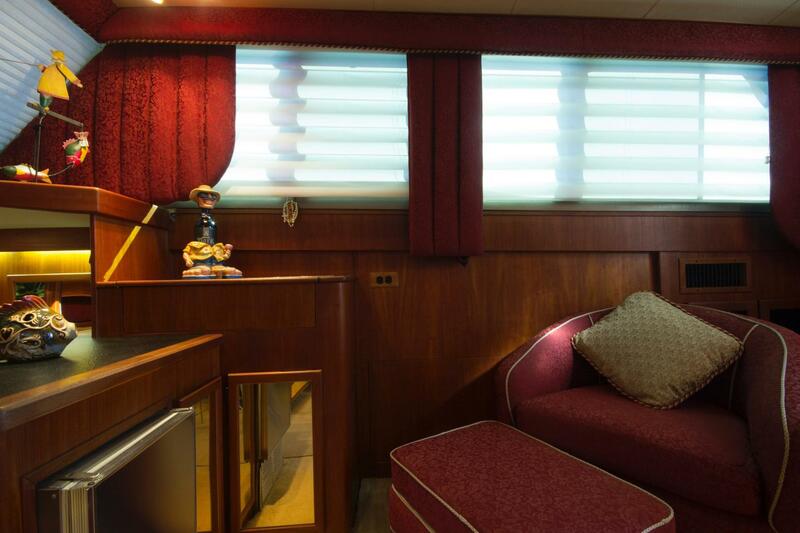 Adjacent to the galley there is a large U shaped dinette that can easily accommodate 4-6 guests and convert to a berth if needed. She is also equipped with a washer and dryer. 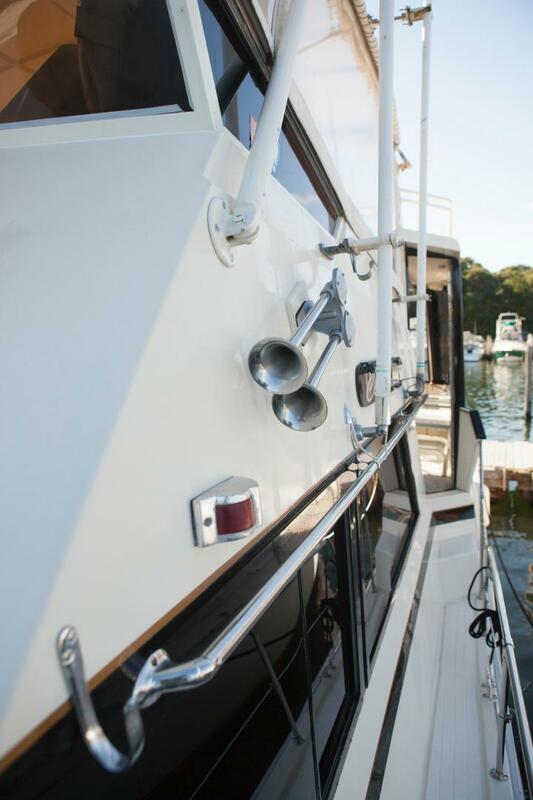 The engines and mechanical systems have been cared for and maintained to the highest standard. 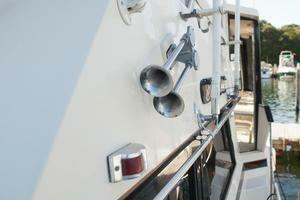 The Detroits were recently tuned up and the heat exchangers were removed and serviced. 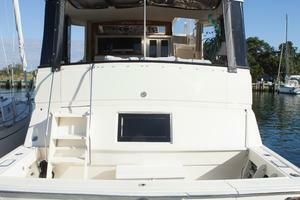 She is equipped with an 11kW Westerbeke generator with 2250 hours. 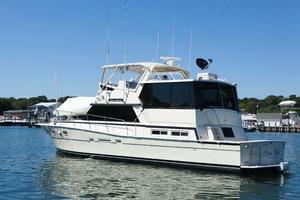 Available but not included in purchase of Viking.